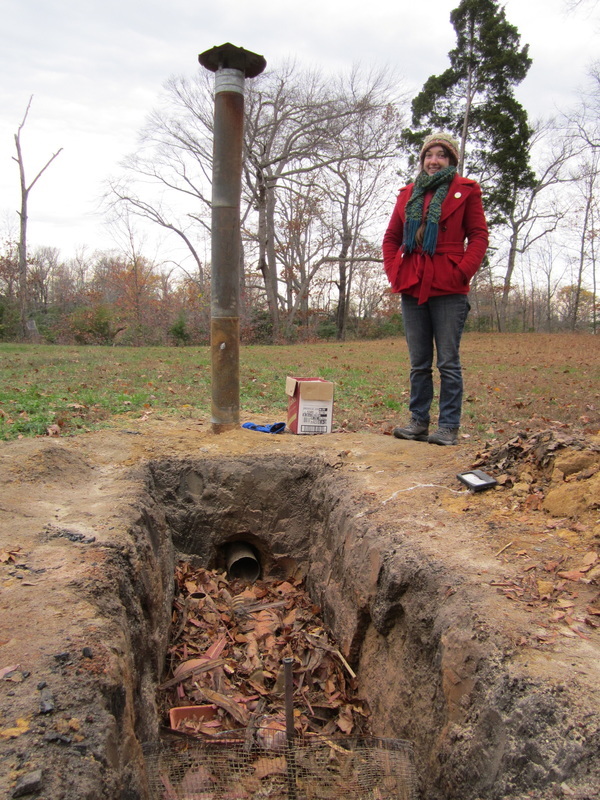 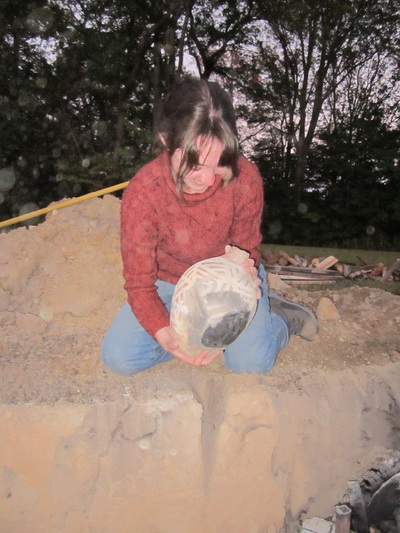 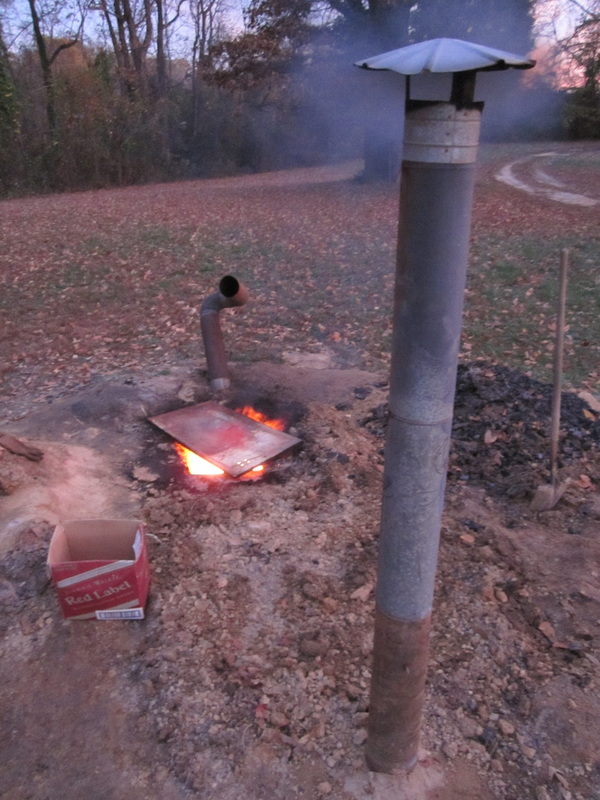 The following images document mine and David's experiments with pit firing from 2015-2016. 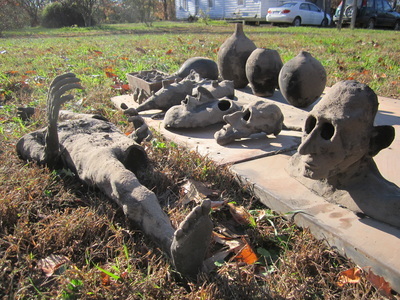 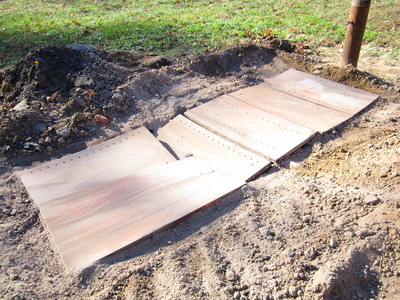 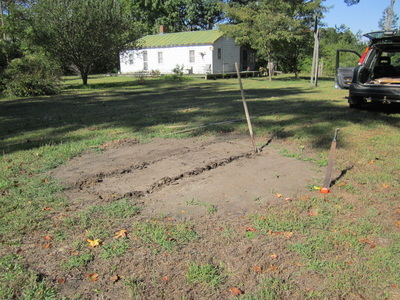 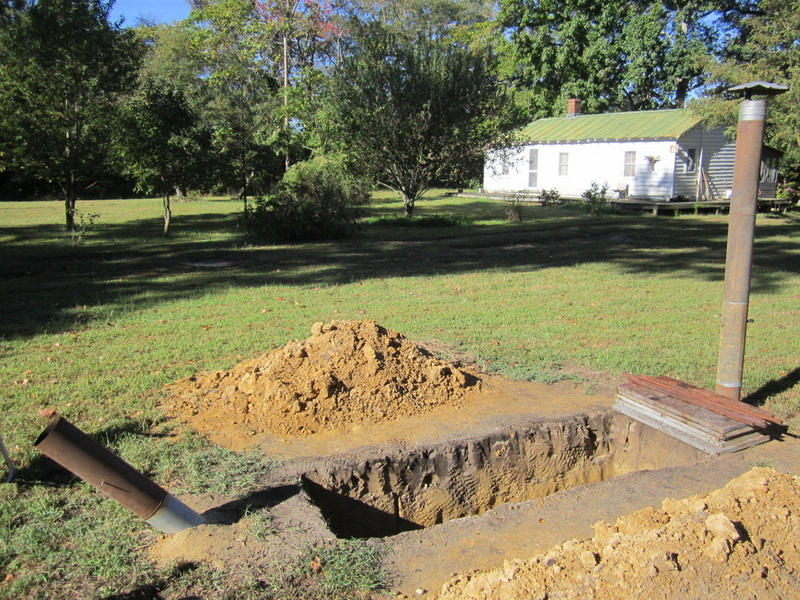 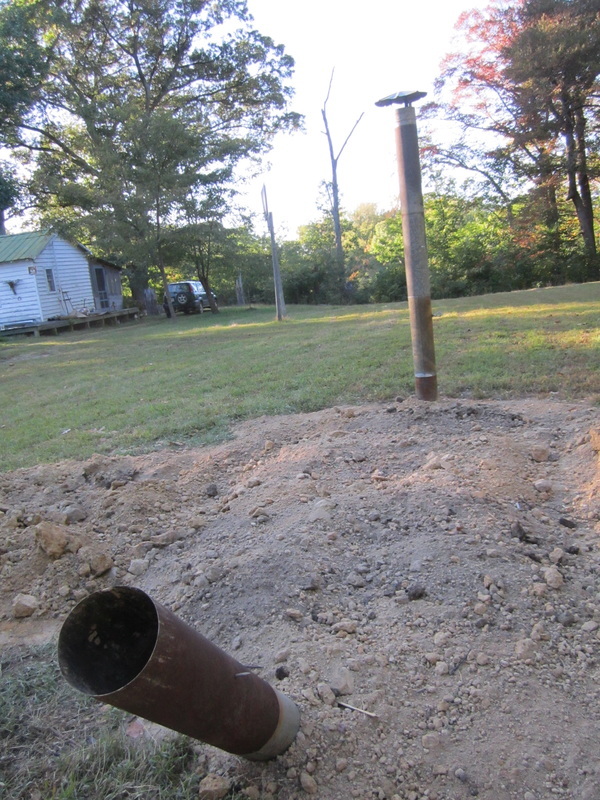 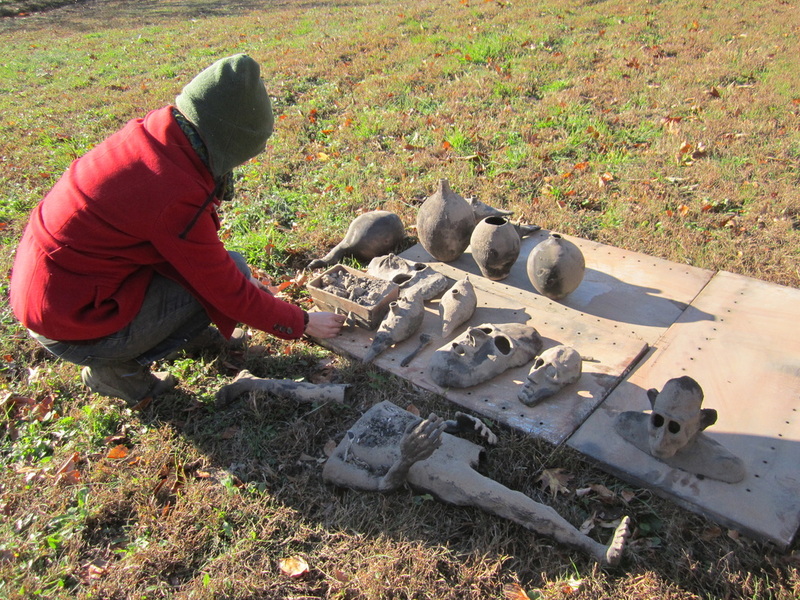 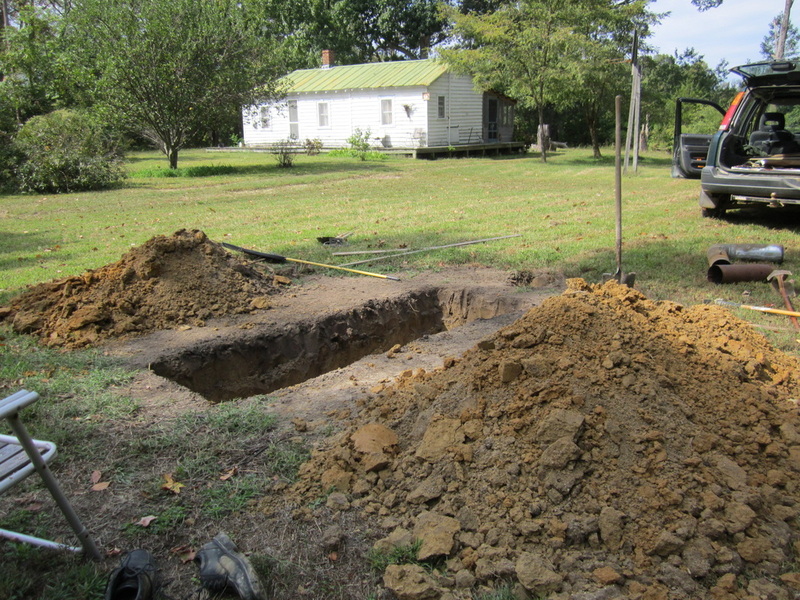 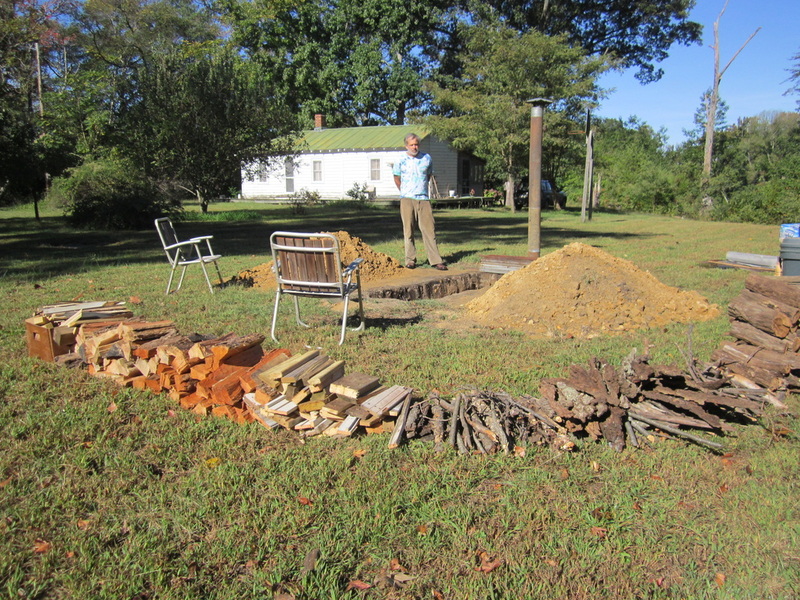 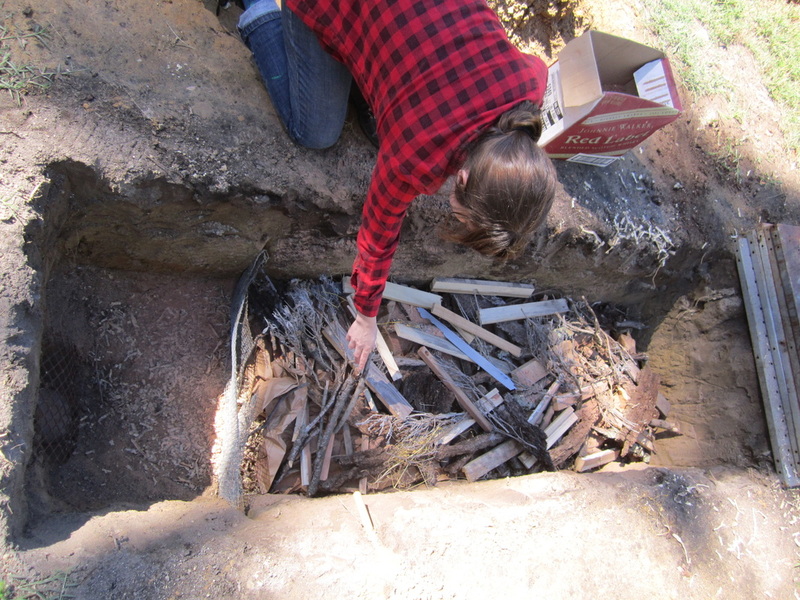 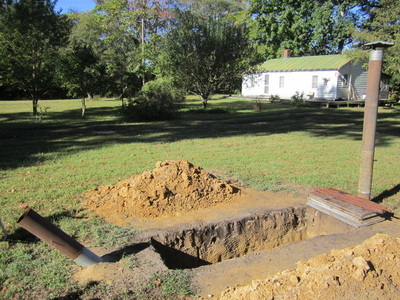 David designed and constructed the pit/kiln using only salvaged materials. 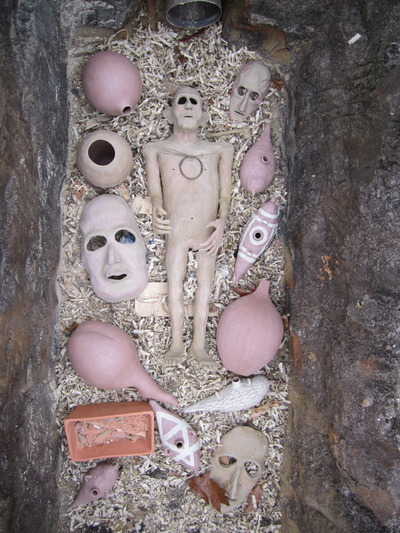 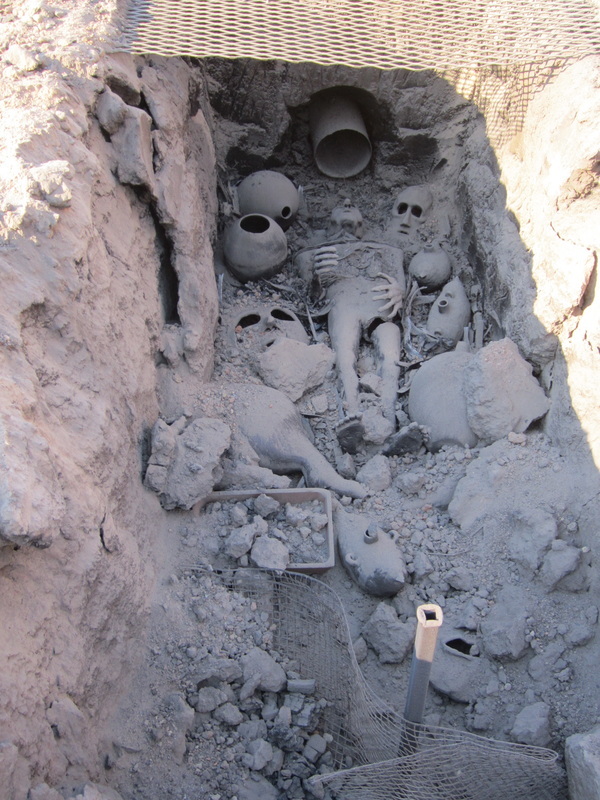 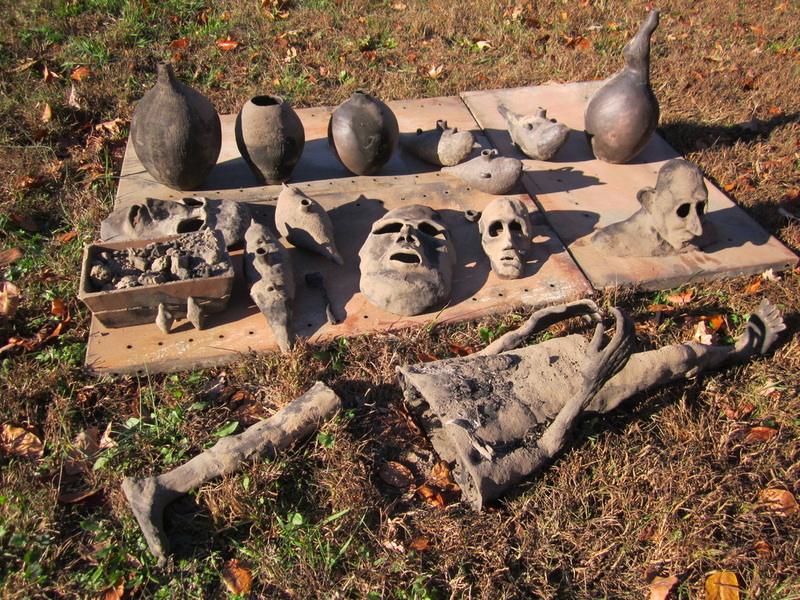 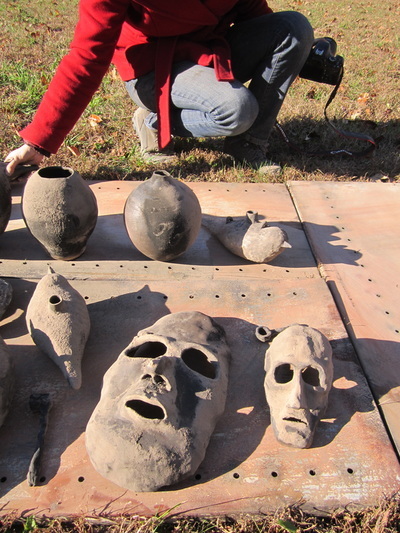 The vessels and sculpture reference ancient pottery, burial masks, fertility goddesses, and local wildlife and geology, both ancient and modern. 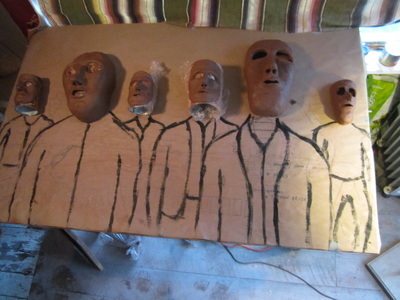 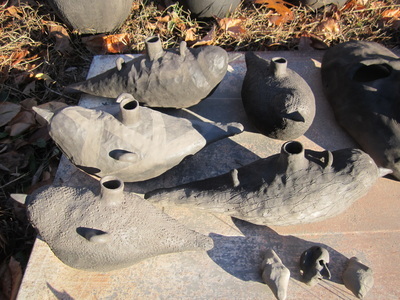 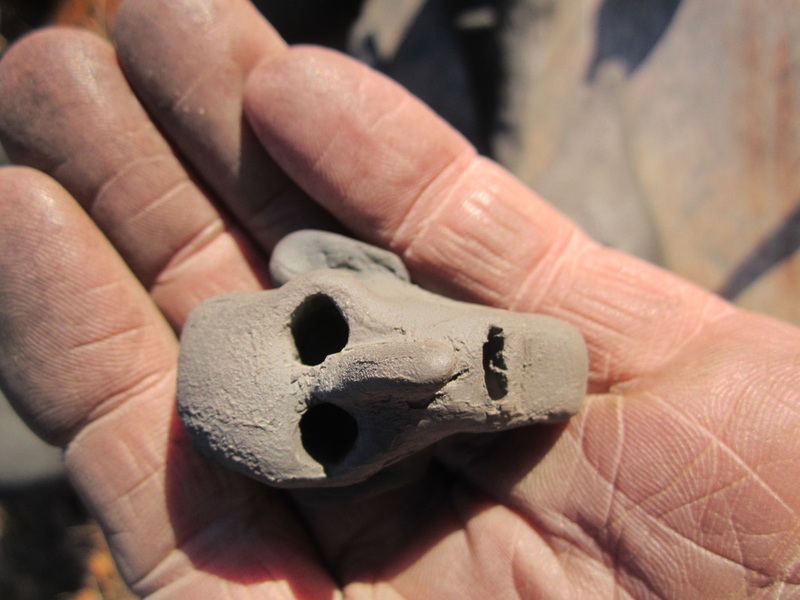 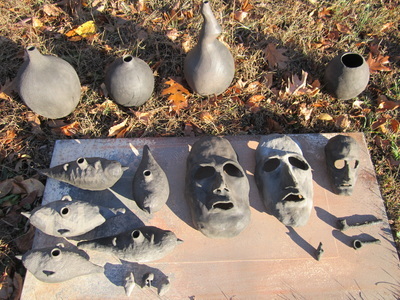 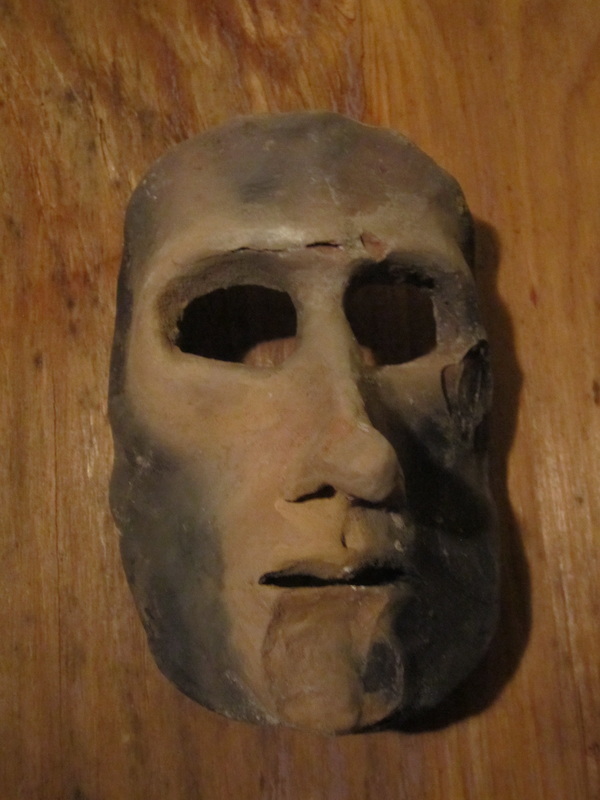 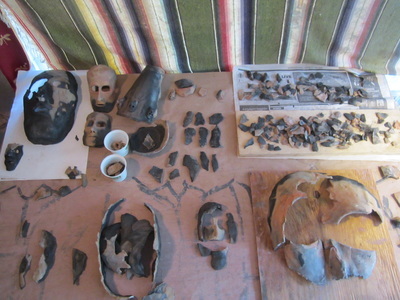 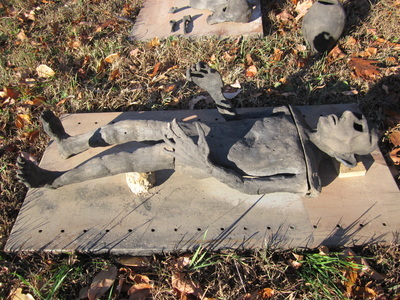 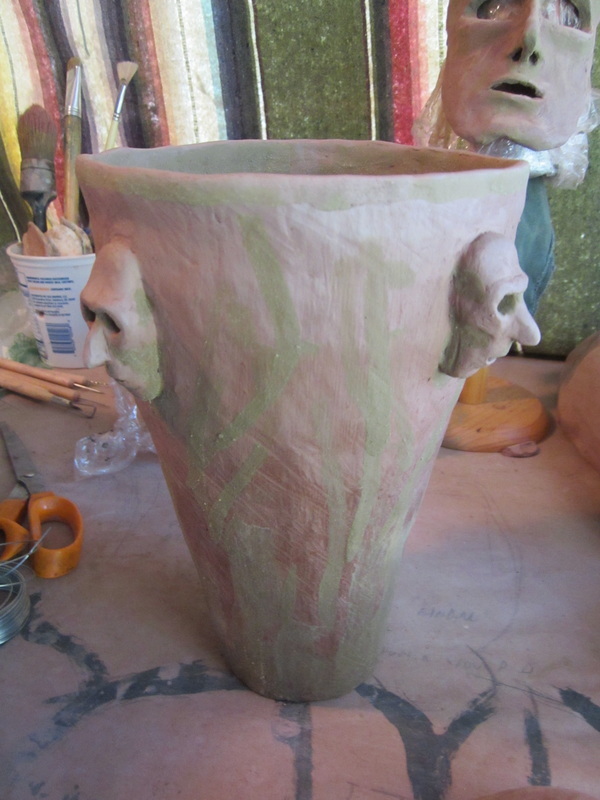 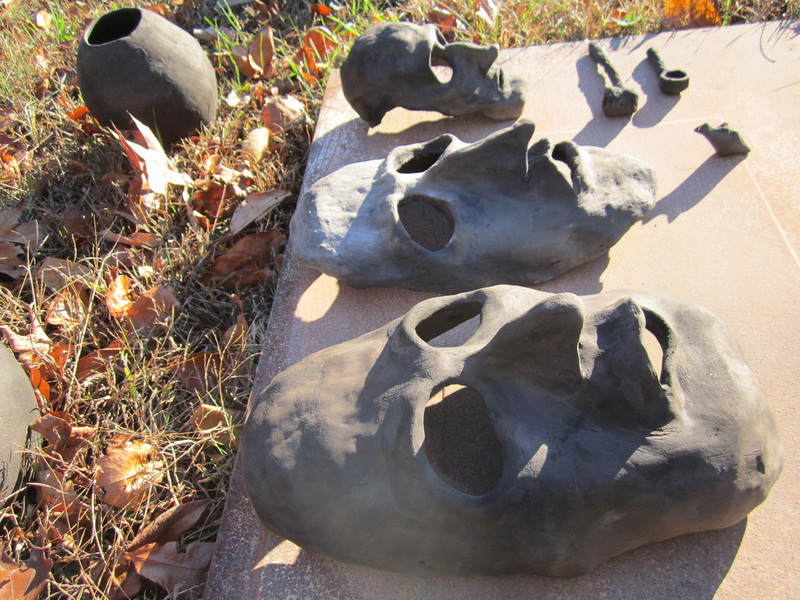 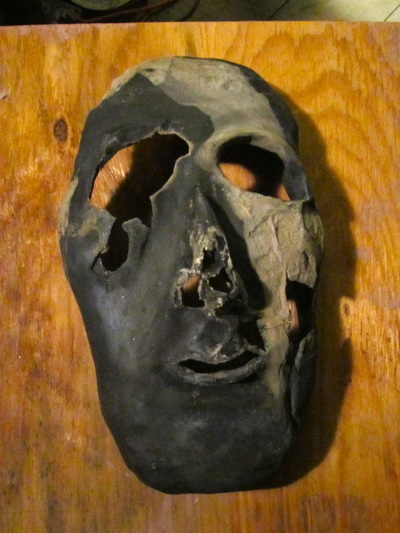 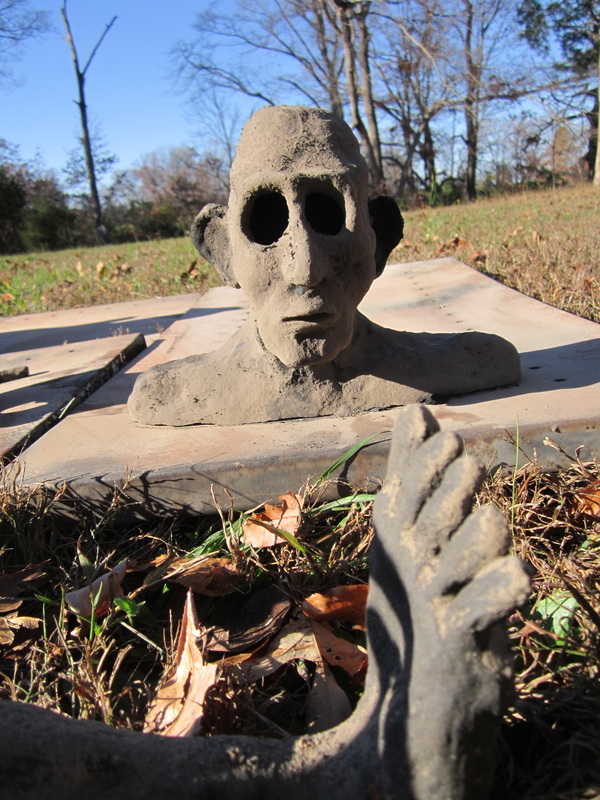 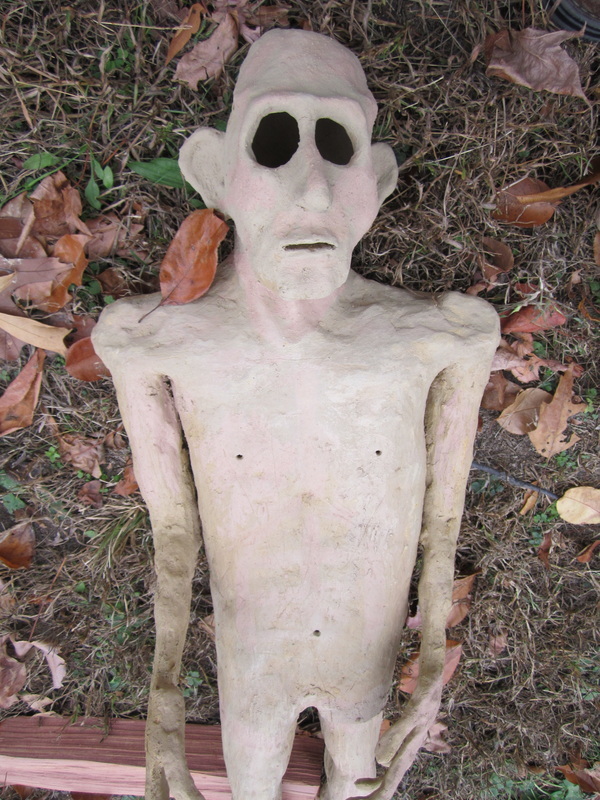 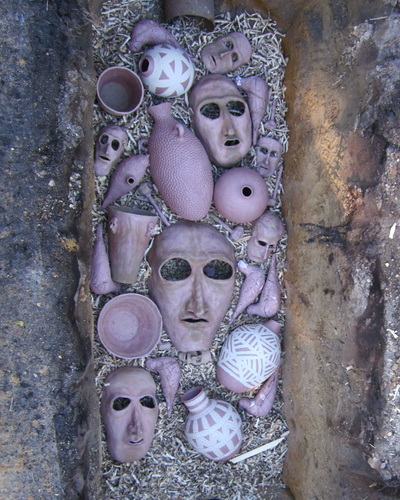 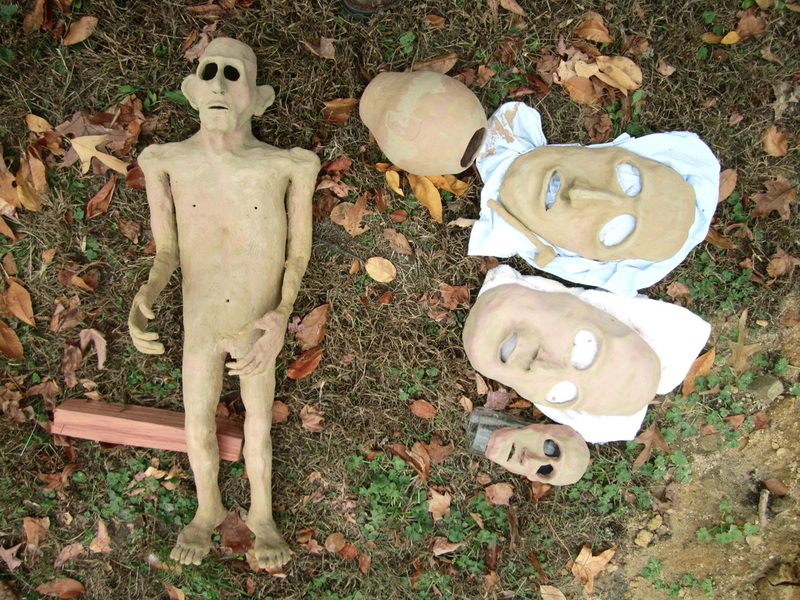 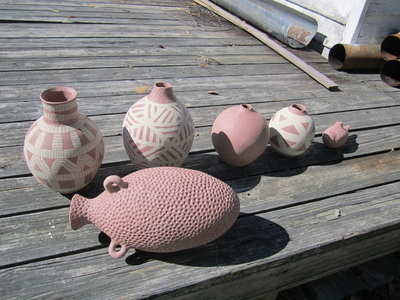 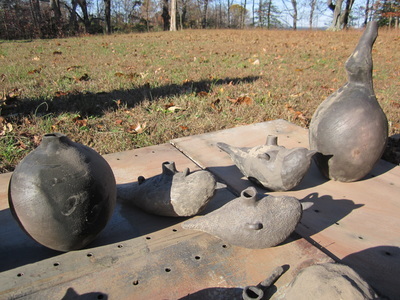 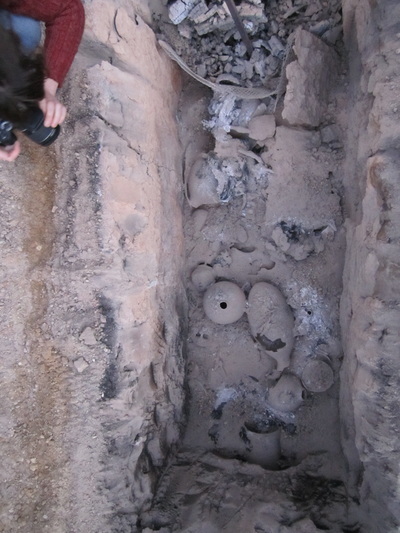 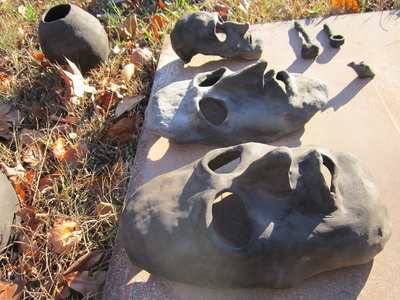 Local clay was utilized for slip decoration and construction of some pieces. All the pieces were raw fired using cedar wood from the farm. 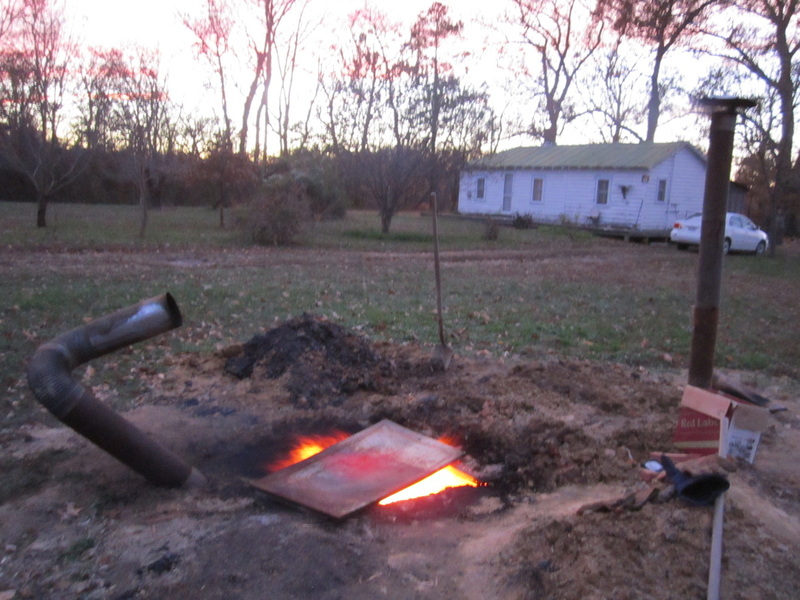 All photos courtesy of David Wold unless otherwise credited.